TROPHY is a meticulously edited, beautifully shot, and most of all provocative documentary about the ethics of big game hunting and its interaction with rare species conservation. Its directors - Christina Clusiau and Shaul Shwarz (AIDA'S SECRETS) - are on the record as saying that they began making the doc to pretty much indict the commercial hunting industry, and there's certainly plenty of explicit, unpalatable and indeed disgusting footage of rich white men paying large sums of money to shoot (NOT track and hunt) game at point blank range and then take crass selfies. One of them even cites the Bible as sanctioning such savage activity, which will be like a red rag to a bull to any liberals watching. But the film is careful to balance this with the equally dogmatic and arguably naive opposing views of anti-hunting activists who quite earnestly and rightly want to save lions like Cecil, but have no concept of the complexity of policy making and unintended consequences in Africa. There is no possibility of a utopian solution - compromises and second best options are the only viable way forward. 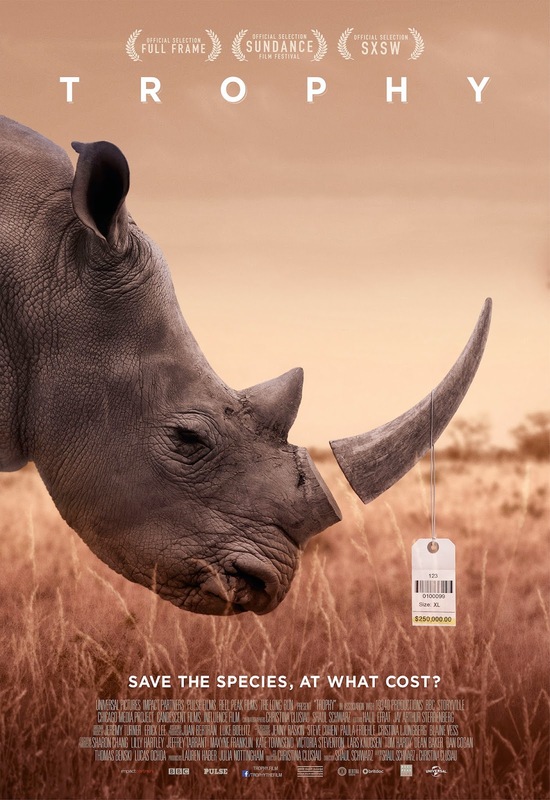 This film poses just such a compromise, which is to allow limited commercial hunting as well as the sale of rhino horns, and to use those funds to subsidise anti-poaching and breeding measures. The people used to defend such a policy are of varying credibility. 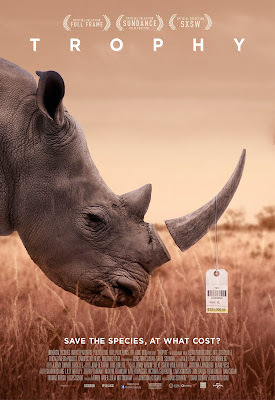 The most prominent in the film is a commercial rhino breeder who does seem to care about saving them from extinction and his sunk his personal wealth into doing so but stands to make a fortune from trading in their horns. But the one who really impressed me was an anti-poaching activist who also leads commercial hunts. He seemed to be the most articulate about the irony of killing some animals to save others - the most aware of the complexity of the situation - and the most deeply committed to their long-term survival. His views really impressed me, and made me deeply reconsider my views on this issue, which is the most one could ask of any documentary. In addition, I delighted in the beautiful cinematography of South Africa and Zimbabwe, while simultaneously being horrified by, and rightly not being allowed to avoid, the sight of animals being killed for sport. TROPHY has a running time of 105 minutes and is rated 15 for strong language. The film played Sundance and SXSW 2017. It opened earlier this year in the USA and Canada. It opened in the UK and Ireland a week ago and is still showing in cinemas and on demand.